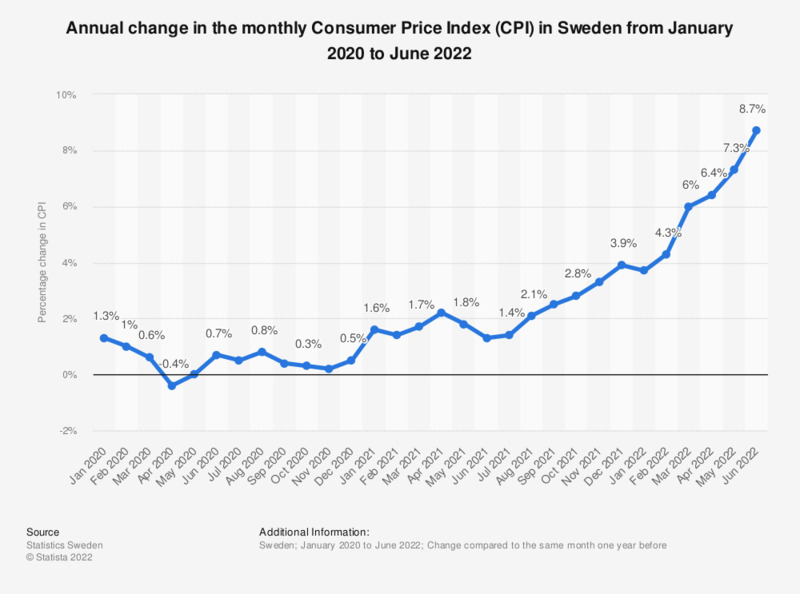 This statistic shows the annual percentage change in the Consumer Price Index (CPI) in Sweden from January to December 2017 compared to the corresponding month one year before. In October, the CPI inflation rate was at 1.7 percent. * Change compared to the same month one year before.